I am OBSESSED with eyebrows. 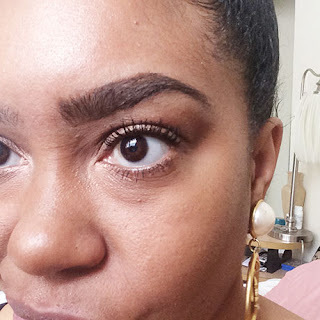 A well shaped brow, in my opinion, totally sets your look. There are a ton of powders, pencils, gels, you name it to help the brow obsessed achieve that perfect look. Always start out with your brown well groom and brush into place. 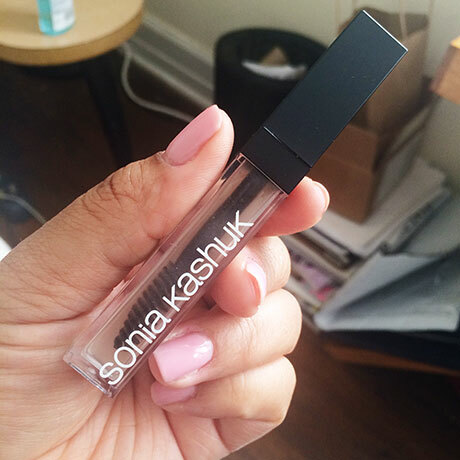 The key to a good brow, is to already start out with a solid base. I use an eyebrow groomer with brush and metal comb. Line the bottom of the brow and the arch and tail of the top. 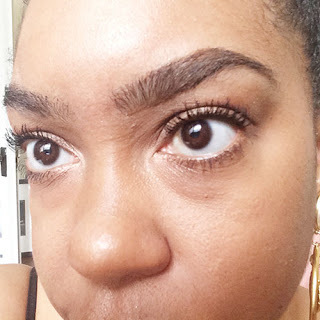 I prefer a more natural looking brow, so I've found that starting about mid-way on the top of the brow helps to achieve this look. 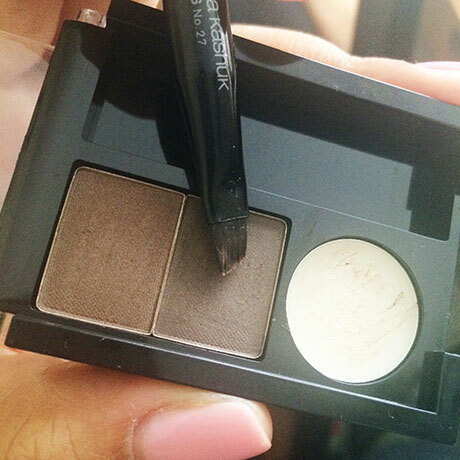 Currently I use the NYX eyebrow cake powder in dark brown and an angled Sonia Kashuk brush. Similar technique used to line is used to fill in. However, I like to start at the tail then move towards the front. That way the brow is lighter at the beginning and darker in the tail. Now if I want a really bold look, I will start from the front and then finish in the tail (as I was going for sure in the above picture). To achieve a less bold look, fill the middle and tail section with the darker powder on ride side of the palette, and use the lighter powder on the left side for the beginning of the brow. Use a spoolie to blend all that powder until you achieve the look desired. 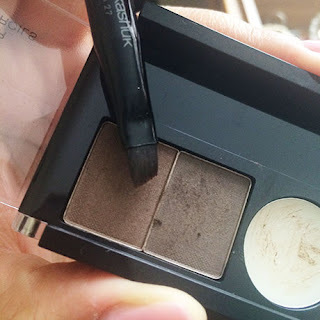 This makes soo much easier to really make sure that the powder is blended seamlessly with the brow hairs. 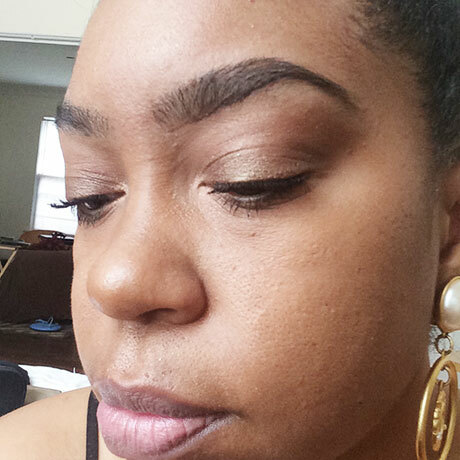 During the colder months I like to use a brow gel to keep those beauties in place. 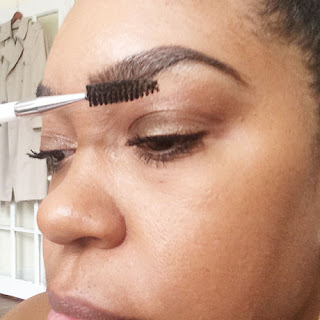 Such a sad state to put all that work in, just to have your brows dissapear as the day progresses. 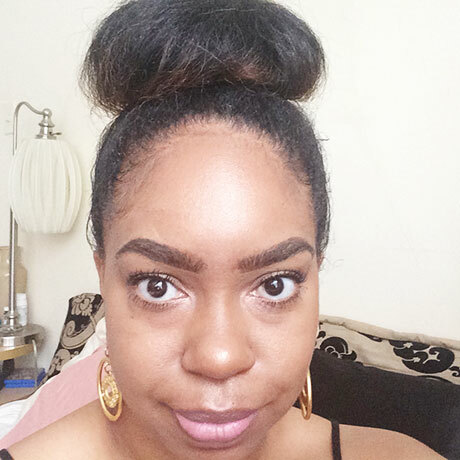 In the warmer months I will forgo a gel and use NYX's proof it brow base as it prevents the brow from melting from the heat, or you know, sweat. I live in the south. TEMPS TOO HOT. Concealer helps give that perfect flawless look, plus its a magic eraser, cleaning up any problems areas. 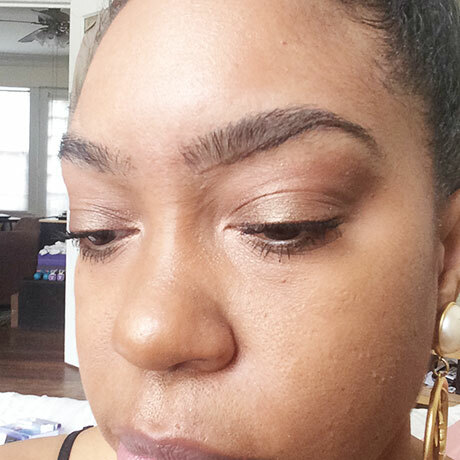 Since I love a more natural looking brow, I use two different shades of concealer. 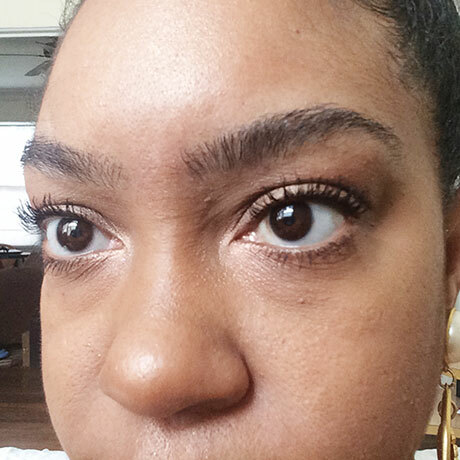 On the bottom I used a concealer closer to my complexion on the the top a concealer about a shade lighter. 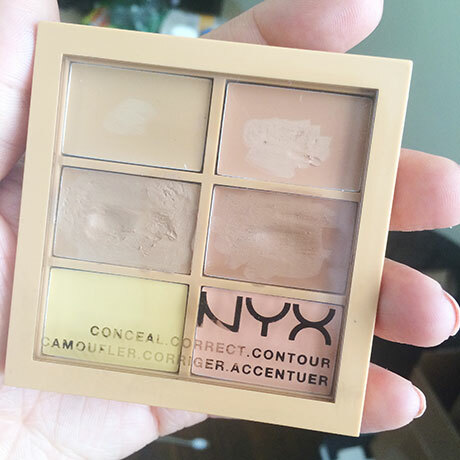 I have been using NYX conceal correct and contour palette in medium as the shades are pretty spot on to my needs. 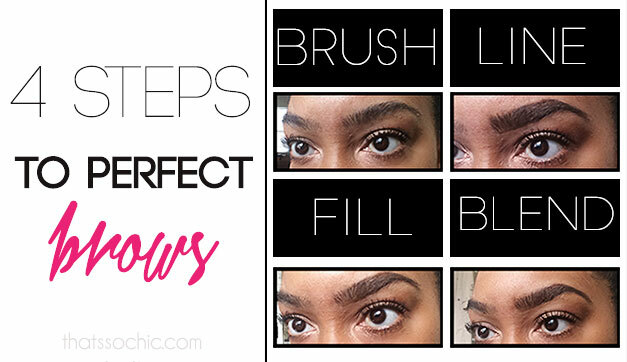 To me this is probably one of the most important steps as this gives you the clean perfect look. 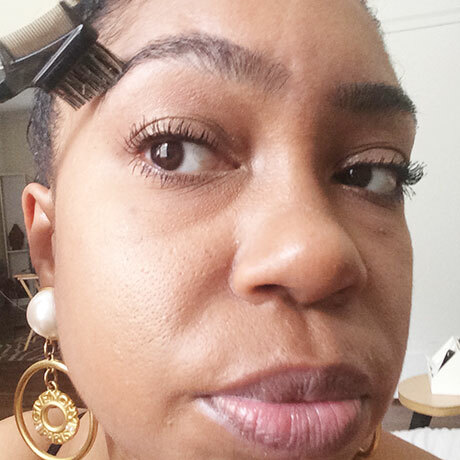 Make sure to blend your concealer so you achieve a flawless arched looked.